Trying to lose weight but finding it tough? You may want to get your vitamin D levels checked. New research conducted at the University of Milan shows that overweight and obese people diagnosed with vitamin D deficiency lost more weight and slimmed down when they took this supplement, Newsmax.com reports. For the study, researchers put 400 overweight and obese people with a known vitamin D deficiency on a low-calorie diet. Next, scientists divided participants into three groups: The first group took no vitamin D supplements, while the two others took either 25,000 international units (IUs) or 100,000 IUs of vitamin D per month. After six months, findings showed study participants in both groups taking vitamin D supplements lost significantly more weight and had greater reductions in their waistlines than the control group. As a result of the findings, researchers suggested that all overweight and obese people get their vitamin D levels tested. 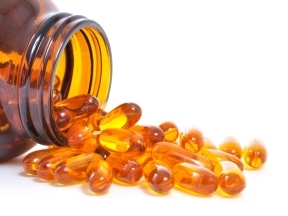 Vitamin D supplements are widely available in stores and online. If you have a deficiency of this so-called “sunshine vitamin,” most doctors recommend a daily dose of 1,000 to 2,000 IUs. 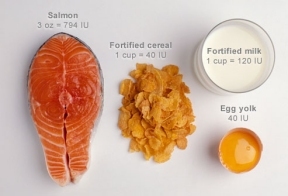 You can also get vitamin D from eating foods such as eggs, milk, yogurt, fish, cereal and orange juice.